After the 9th century BCE, the tribes and chiefdoms were replaced by ethnic nation states, Israel, Judah, Moab, Ammon and others, each with its own national god. Thus Chemosh was the god of the Moabites, Milcom the god of the Ammonites, Qaus the god of the Edomites, and Yahweh the “God of Israel” (no “God of Judah” is mentioned anywhere in the Bible). In each kingdom the king was also the head of the national religion and God’s viceroy on Earth, reflected each year in Jerusalem when the king presided over a ceremony at which Yahweh was enthroned in the Temple. The centre of Yahweh’s worship lay in three great annual festivals coinciding with major events in rural life: Passover with the birthing of lambs, Shavuot with the cereal harvest, and Sukkot with the fruit harvest. These probably pre-dated the arrival of the Yahweh religion, but they became linked to events in the national mythos of Israel: Passover with the exodus from Egypt, Shavuot with the law-giving at Sinai, and Sukkot with the wilderness wanderings. The festivals thus celebrated Yahweh’s salvation of Israel and Israel’s status as his holy people, although the earlier agricultural meaning was not entirely lost. Pre-exilic Israel, like its neighbors, was polytheistic, and Israelite monotheism was the culmination of a unique set of historical circumstances. Yahweh and El merged at religious centres such as Shechem, Shiloh and Jerusalem, and the national god appropriated many of the older supreme god’s titles such as Shaddai and Elyon (Almighty). 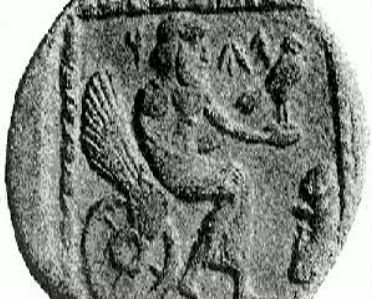 Asherah, formerly the wife of El, was probably worshiped as Yahweh’s consort, and various biblical passages indicate that her statues were kept in his temples in Jerusalem, Bethel, and Samaria. Yahweh may also have appropriated Anat, the wife of Baal, as his consort, as Anat-Yahu (“Anat of Yahu,” i.e., Yahweh) is mentioned in 5th century records from the Jewish colony at Elephantine in Egypt. A goddess called the Queen of Heaven [Jeremiah 7:18] was also worshiped, probably a fusion of Astarte and the Mesopotamian goddess Ishtar. Baal and Yahweh coexisted in the early period of Israel’s history, but from the 9th century they were considered irreconcilable, probably as a result of the attempts of King Ahab and Jezebel, his Phoenician queen, to elevate him in the northern kingdom. The worship of Yahweh alone began at the earliest with Elijah in the 9th century BCE, but more likely with the prophet Hosea in the 8th; even then it remained the concern of a small party before gaining ascendancy in the exilic and early post-exilic period. The process by which this came about might be described as follows: In the early tribal period each tribe would have had its own patron god; when kingship emerged, the state promoted Yahweh as the national god of Israel, supreme over the other gods, and gradually Yahweh absorbed all the positive traits of the other gods and goddesses; finally, in the national crisis of the exile, the very existence of other gods was denied. Yahweh was proclaimed as the creator of the cosmos and the true god of all the world. This entry was posted in God, Ponderings and tagged God, Heaven, Jewish. Bookmark the permalink. [For the genuine believer] There are moments in life when God's pursuit of us seems like that of a persistent mosquito, constantly buzzing around our heads and causing us pain, and we are utterly powerless to shake him off.